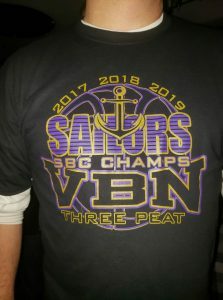 The #VBN Boys clinched a share of their third consecutive title in the SBC Bay Division this past Saturday with a win over Margaretta. The win brought their record to 10-1 in the conference, and gives them a chance to clinch the outright Bay division championship on Friday at Huron. Vermilion (17-3) is seeded 3rd in the Northwest D2 District, behind Norwalk (16-2) and Lexington (14-4), and has a first round bye. They will play at Bucyrus on March 1st at 6:15 against the winner of 6th seeded Sandusky and 10th seeded Shelby. Come on out and be a part of the family by watching the Sailors try to win the conference outright at Huron on Friday. 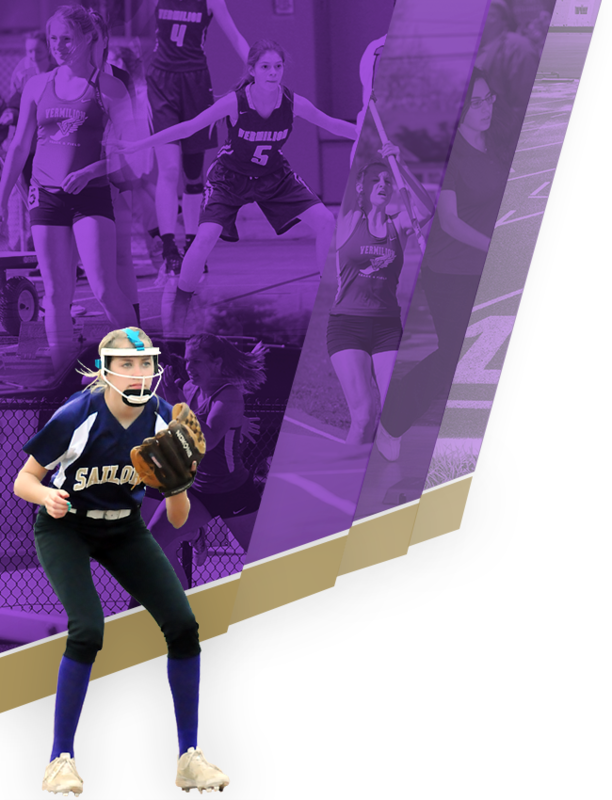 Then, come support the 10 Seniors on their night next Tuesday the 19th at home against Clearview. 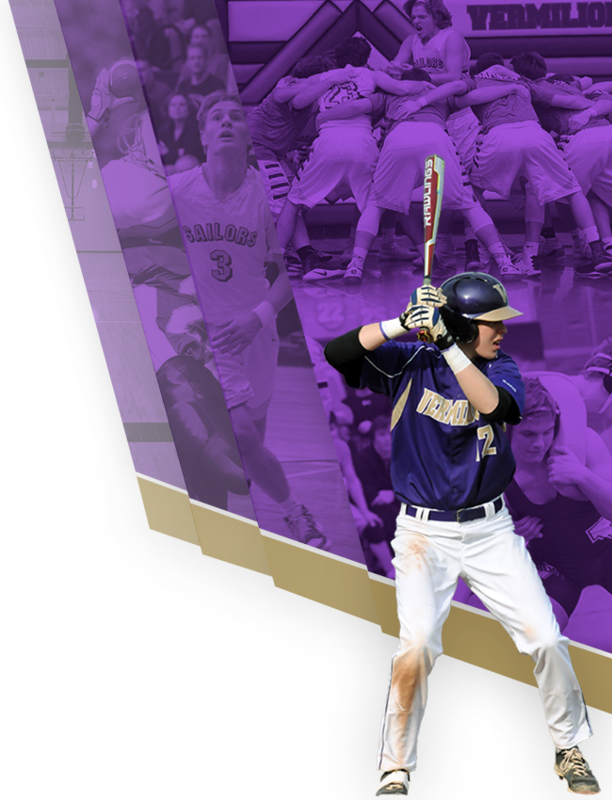 Stick with the team as they hope to embark on a long state tournament run beginning March 1st. If you’re interested in purchasing an SBC Champs “THREE PEAT” shirt (below), contact Aimee Colahan. Congrats to the entire #VBN family for being back on top of the Bay Division mountain!